Frame/Design – Assembled dimensions: 58 L x 30 W x 34 H inches/ Weight: 120 pounds. The laminated cabinet as noted above is really nice. 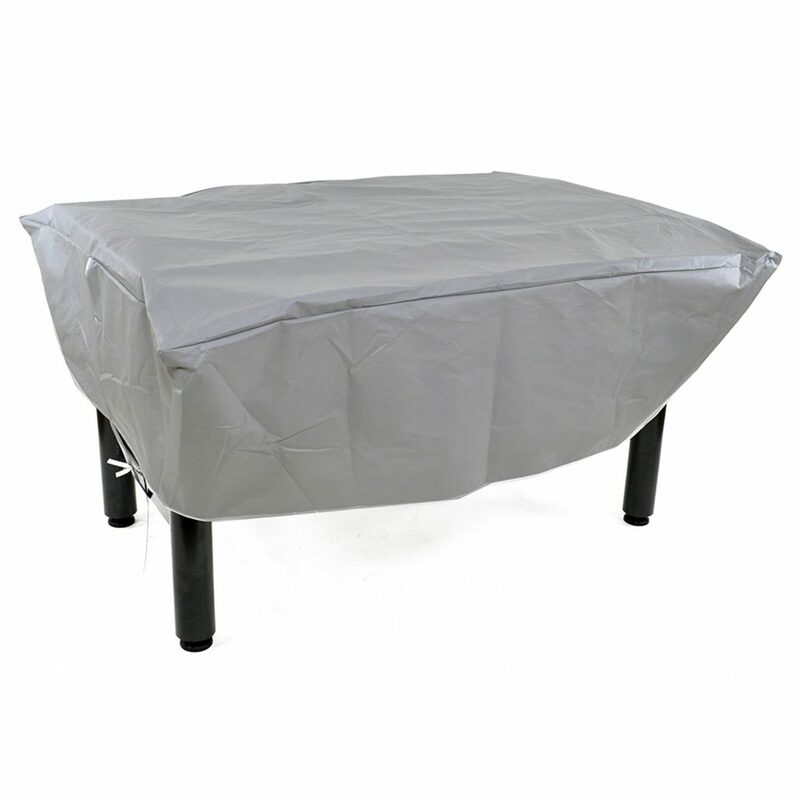 The table is completely water resistant and weatherproof. The powder-coated steel legs have built in floor levelers which is a great thing when playing outdoors. 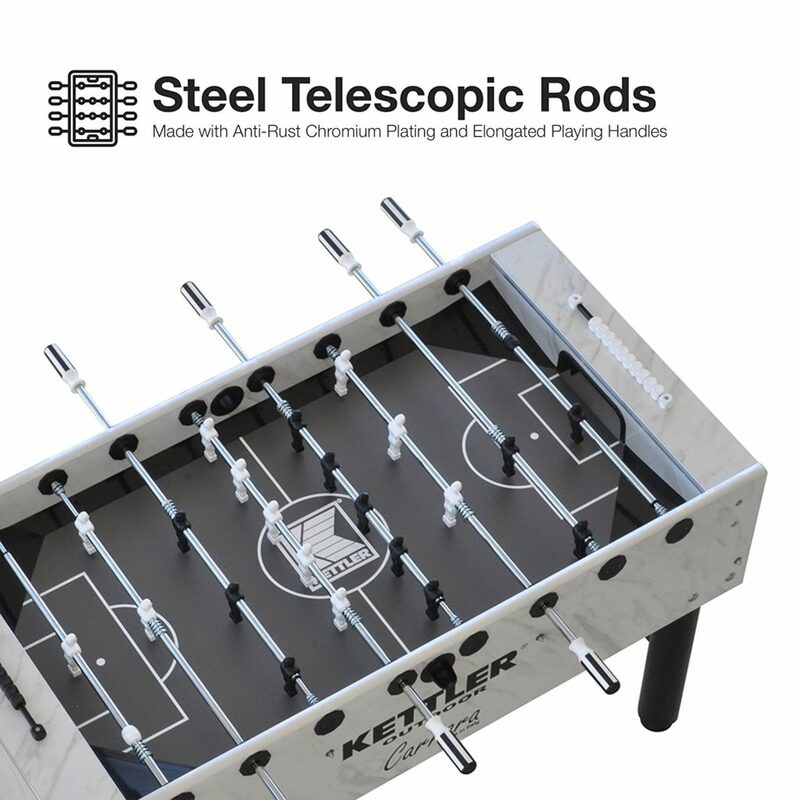 The sloped side and corner rails make it so there are no ‘dead’ spots on the table and the ball is continuously in play. We also like the unbreakable players that are molded directly onto the stainless steel rods ensuring longevity of your product. Outdoor tables can take a beating in the elements, but the rods will hold up. There are also features like the integrated ball drop and ball box. Assembly – As always assembly does take a little time. 90 minutes in our case. Nothing too difficult, but stay patient and you will be playing in no time. We wish that more of these companies would provide a video showing the assembly process. It would literally take them a few hours to shoot it and the video could potentially save all their customers hours of time. Some manufacturers provide more than just written instructions – which can often be confusing and misleading. Playability – After getting the table all assembled, we were eager to play on the table. 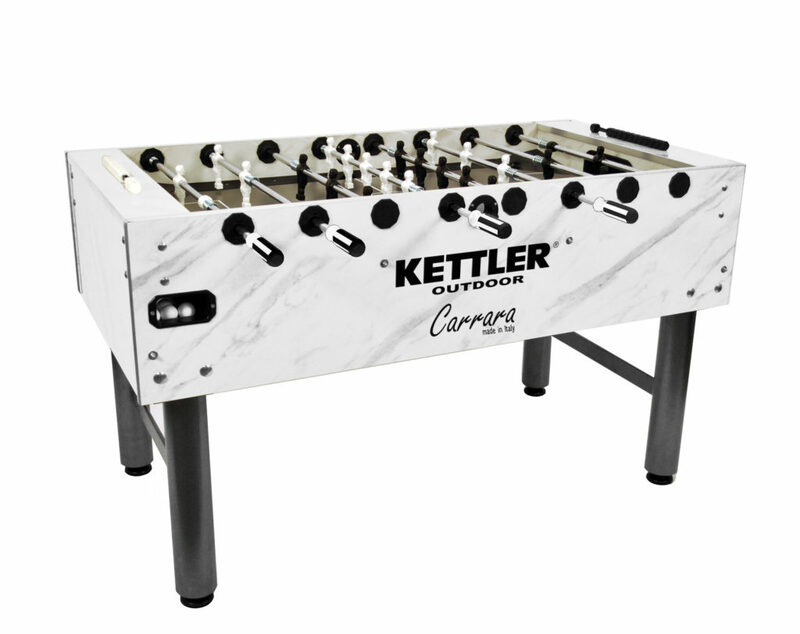 We had previously used the Kettler Montecristo and the original Kettler outdoor foosball tables which are good, but this table stands above them. 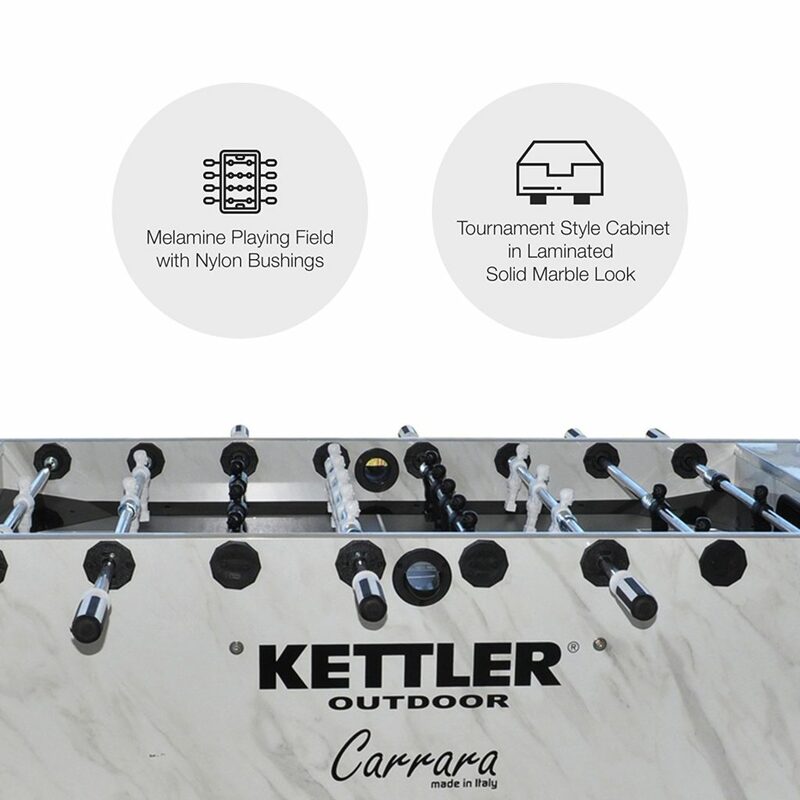 The new melamine playing field is the best on the market and only matched by Garlando. The table got wet the first day we used it outdoors here in Portland. After a brief shower and sun breaks, the table was dry and ready to play on again. We noticed not issues with water retention or wet spots. Our initial feedback is that the table plays near perfect – the rods could be a bit better for quicker shots, but overall the table did great. For an outdoor table it has held up superbly for the first 6 months of use. We will update the review once the table reaches 1 year old and determine how the weatherproof status is doing.